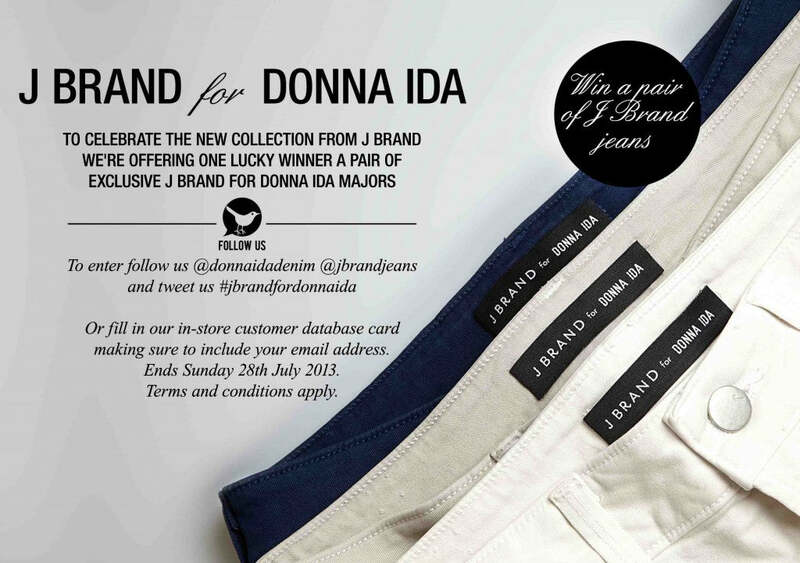 To celebrate the new collection from J Brand we're offering one lucky winner a pair of exclusive J Brand for Donna Ida Major Skinny Jeans. Or fill in our customer database card making sure to include your email address. Ends Sunday 28th July 2013. Terms and conditions apply. Also check our Twitter feed for our exclusive chat with J Brand. Tweet your denim questions at 5pm on Thursday!